Bailey is all smiles for this Grey's Anatomy scene. It is from the episode "Everything I Do, Nothing Seems to Turn Out Right." 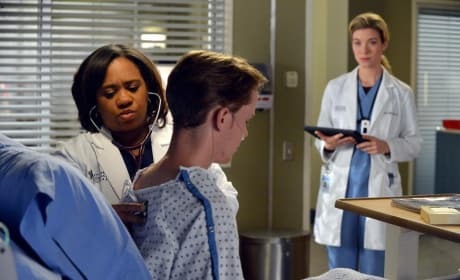 Bailey examines a patient as Murphy looks on on Grey's Anatomy. "Get Up, Stand Up" is the 12th episode of the show's tenth season. 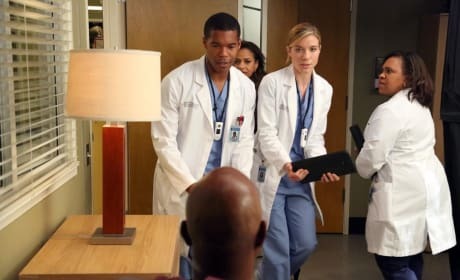 Bailey and Murphy consult with a patient on Grey's Anatomy. 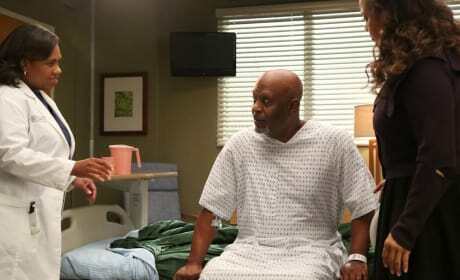 "Get Up, Stand Up" is the 12th episode of the show's tenth season. Murphy is furious. Is it with Bailey on Grey's Anatomy? "Get Up, Stand Up" is the 12th episode of the show's tenth season. 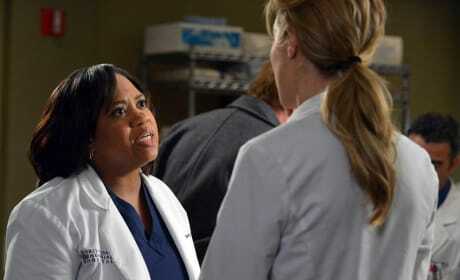 Bailey and Murphy argue on Grey's Anatomy. "Get Up, Stand Up" is the 12th episode of the show's tenth season. Murphy and Bailey look concerned about whatever they see on the screen on Grey's Anatomy. "Get Up, Stand Up" is the 12th episode of the show's tenth season. 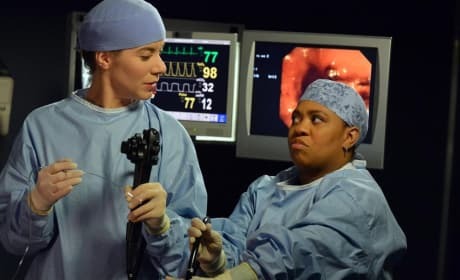 Murphy and Bailey work together in the OR on Grey's Anatomy. "Get Up, Stand Up" is the 12th episode of the show's tenth season. 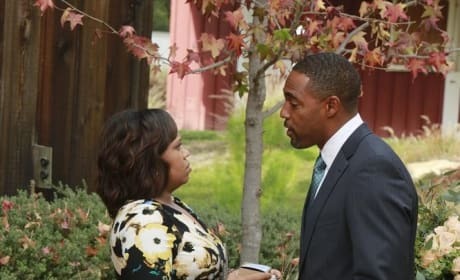 Will Murphy and Bailey make it to April's wedding on Grey's Anatomy? "Get Up, Stand Up" is the 12th episode of the show's tenth season. 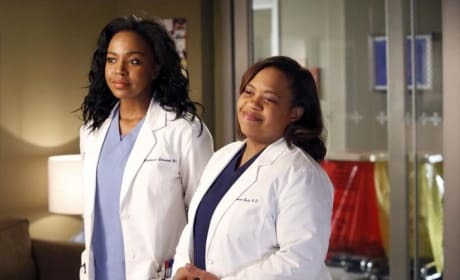 Bailey shares the truth about how she feels on Grey's Anatomy. "Get Up, Stand Up" is the 12th episode of the show's tenth season. 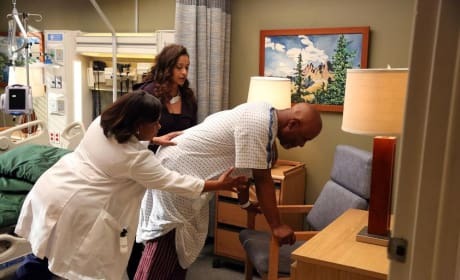 Richard struggles with his recovery on Grey's Anatomy. "I Bet It Stung" is the fifth episode of the show's tenth season. Richard looks wary over Miranda's concern on Grey's Anatomy. "I Bet It Stung" is the fifth episode of the show's tenth season. 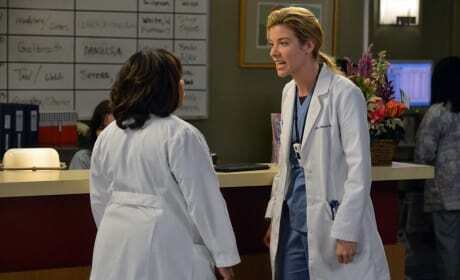 Miranda doesn't look happy with the new arrivals on Grey's Anatomy. "I Bet It Stung" is the fifth episode of the show's tenth season.